Papkuilsfontein & De Lande Guesthouse are under the same management. 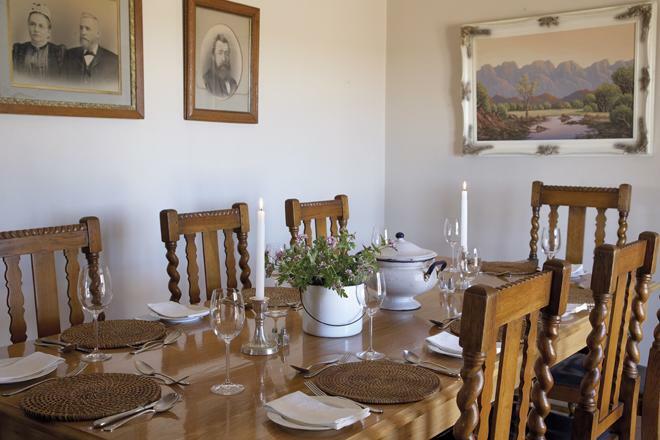 De Lande, the well-established guest house of Papkuilsfontein Guest Farm, is situated on another farm 9km from Papkuilsfontein itself, and therefore only 14km south of Nieuwoudtville. This generously proportioned Karoo country house has four individually decorated en suite bedrooms. Pure cotton bed linen, fluffy white towels and bath robes, electric blankets for cold weather and wall heaters in both bed- and bathrooms, ensure your well-being. Enjoy your glass of wine in front of the fire in the lounge before sitting down to our renowned three (3) course dinner. The cozy sun-room on the east side of the house is the perfect setting for delicious breakfasts. The long “stoep” on the east side, and the wide west veranda with its double doors, offers views of the dolerite koppies beyond the river, and invite the outdoors inside. 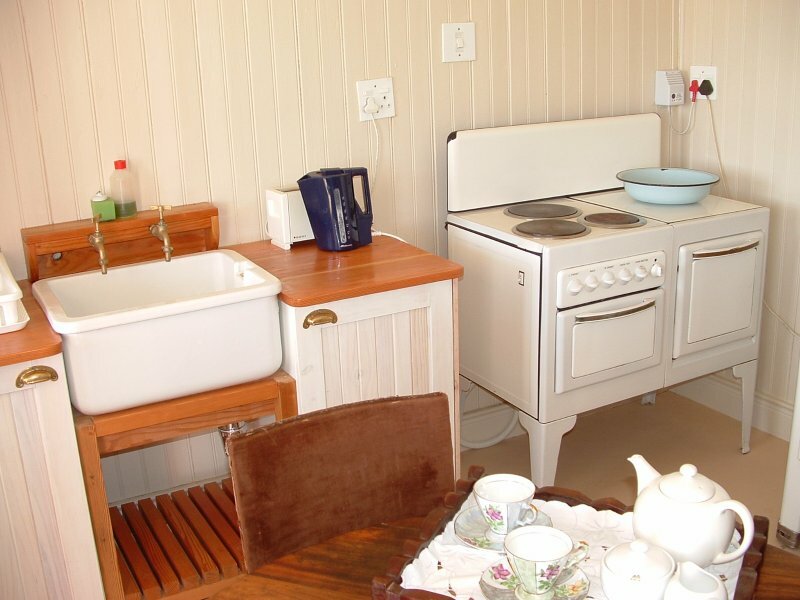 Out of season, De Lande may be booked as B&B, or self catering. It (and) is ideally suited for a family or group of friends who need a break-away from city stress. Wireless Internet connection is available, and it is suitable for conferences as well. 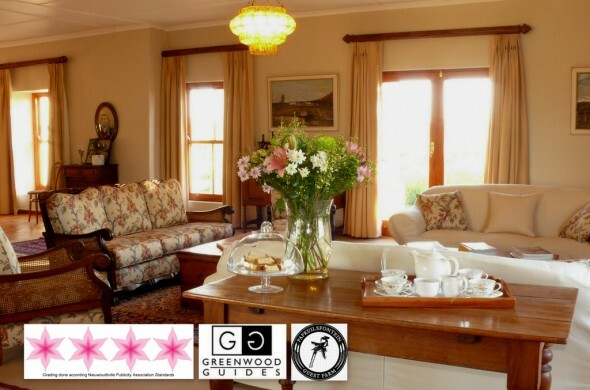 Relax in comfort at De Lande Guesthouse, and enjoy access to the other fascinating attractions and activities on our Papkuilsfontein farm – its canyon and waterfall, Fynbos walks, the natural rock pool and swimming dam, San rock art and, of course, more flowers. Guided farm tours can be booked with Willem van Wyk, who has extensive knowledge of his farm and the area. Consider the beautiful route via the Botterkloof- and Pakhuis Passes (R364) from Clanwilliam to us. It is a dirt road alternative to the N7 route from Cape Town – one third of this road is tarred. Papkuilsfontein a comfortable and well-known stop over for travellers to the Kgalagadi. 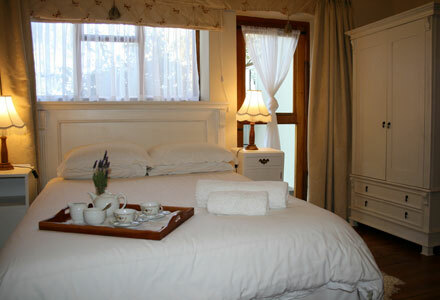 De Lande Guesthouse has an adjacent cottage, called Jan Voorman se Sinkhuisie. 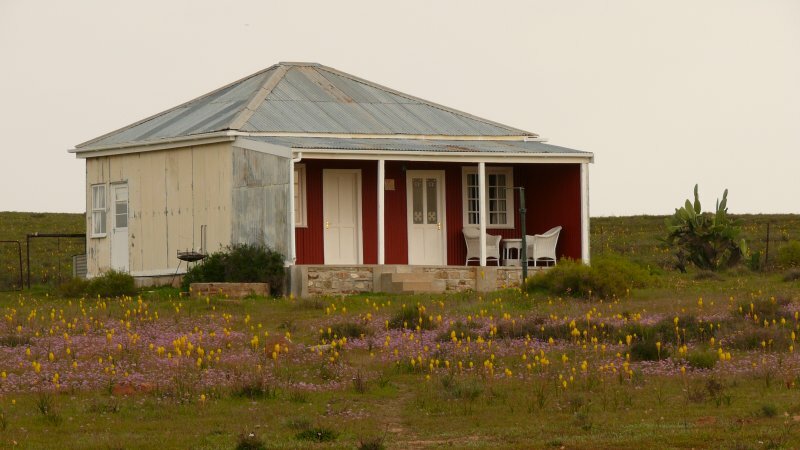 This quaint corrugated iron cottage is set against a gentle slope, offering unlimited views of the vast landscape famous for its bright spring colour. 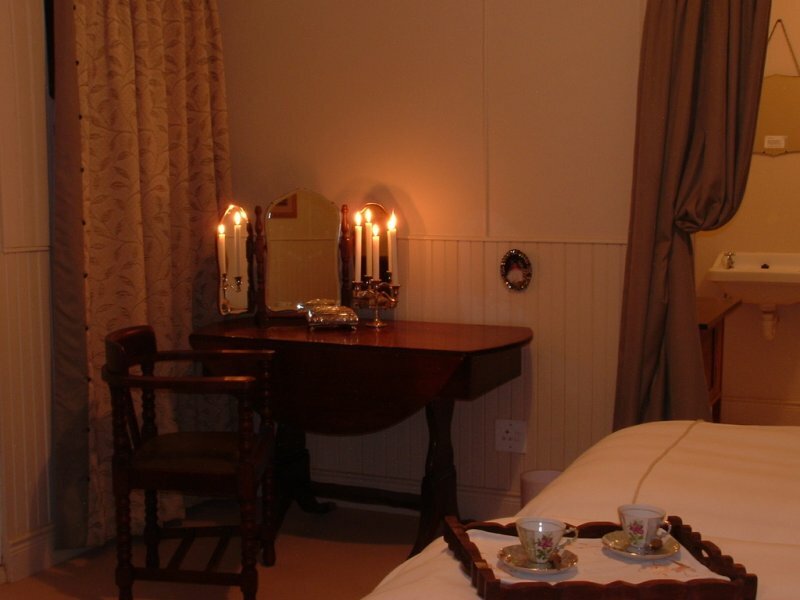 It provides simple yet luxurious accommodation while retaining the comfortable ‘farmhouse’ atmosphere. There are two en suite bedrooms, one with shower and one with bath. The kitchen and lounge lead out to the charming front veranda (the classic South African stoep), the perfect place to savour that early morning cup of coffee in the sun, your eyes scanning the dolerite koppies (small hills) on the other side of the river. Matjiesfontein House is a very old building on the historic Matjiesfontein werf (yard), consisting of sandstone and thatched buildings. Part of this house dates from the late 1700’s, while the part which is now the lounge and en suite bedroom, was built in the early 1800’s. The suite has wood ceilings, sandstone floors and wall heaters in both bed-and bathroom. The generously proportioned rooms make this venerable ‘old lady’ a pleasure to stay in. The suite has its own entrance on a stoep that runs the length of the house, and the walled garden has a natural spring in front of it. Dinner and breakfast are served at De Lande, 1.5km away. A map is also provided of the Papkuilsfontein farm which you can explore by foot or by car. 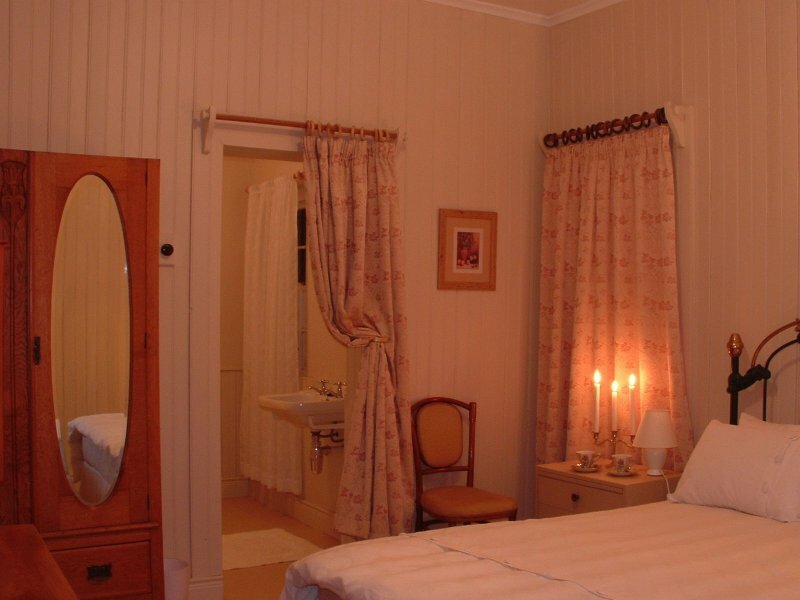 Please note that Matjiesfontein is only available for rent annually for the months of August and September. Starting From:See our tariffs on our website, please.